In those countries where the British were in charge of tea growing, the processing factories are of an imposing size. 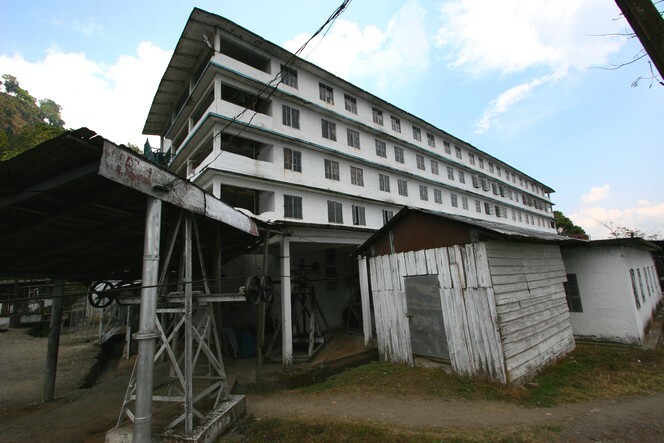 The upper floor, or upper floors, like here on the Namring Tea Estate (India), are devoted solely to withering the tea leaves. The rolling, oxidation, drying and sorting of the various grades take place on the ground floor of the building. Proud to being a part of Namring tea estate. That’s good ! u can be proud, it’s a famous estate ! susentea is a great sri lankan tea… check that too.. cheers ! !